Packer fans make rationalizations to defend their team in times of trouble. These rationalizations come from loyalty and love for their team. Packer fans are the last to make excuses and first to fight and believe. Hence, here’s my rationalization to explain why the Packers will overcome their latest struggles and injuries. It’s time for a momentum shift – This Packer team is too talented NOT to have a breakout game in the first half of the season. No question that after this Sunday’s trip to D.C., the Packers begin a grueling stretch of games that they’ll be underdogs in. Home games against Miami (10/17), Minnesota (10/24) and Dallas (11/7); And on the road at the Jets (10/31) and Minnesota (11/21). But because this team plays better without the pressure, they’ll manage to go 3-2 in this stretch and come out 7-3 overall. Rodgers will come to life in at least two of these games and lead the Pack, from behind, to a few surprising victories (a la at the Jets and at home against Minnesota). Playmakers get back on the field – Atari Bigby and Al Harris will return late October and give the defense a much needed boost. Hopefully other Packers injuries will subside by then as well allowing the unit to gain momentum going into the playoffs. 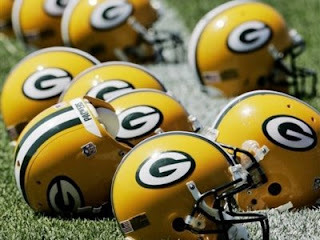 The team will start to play like a team – It’s better that the Packers got the rust out in the first quarter of the season and managed to post a 3-1 record. The inexcusable mistakes like fumbles, penalties and missed assignments will not be reoccurring themes. The offensive game plan will shift more and more into Rodgers’ hands, meaning higher utilization of the offense’s most potent players. So why will it come together? The Packers will glean confidence from a few clutch wins as mentioned above, manage to cut down on stupid mistakes, find their offensive rhythm and make enough plays on defense to carry them into the playoffs at 11-6.